In recent trading, shares of Gladstone Investment Corp have crossed above the average analyst 12-month target price of $12.31, changing hands for $12.52/share. When a stock reaches the target an analyst has set, the analyst logically has two ways to react: downgrade on valuation, or, re-adjust their target price to a higher level. In trading on Wednesday, shares of Gladstone Investment Corporation - Business Develo touched a new 52-week high of $12.27/share. That's a 41.03% rise, or $3.57 per share from the 52-week low of $8.70 set back on 12/24/2018. Looking at the universe of stocks we cover at Dividend Channel, on 3/19/19, Gladstone Investment Corporation - Business Develo will trade ex-dividend, for its monthly dividend of $0.068, payable on 3/29/19. As a percentage of GAIN's recent stock price of $11.79, this dividend works out to approximately 0.58%, so look for shares of Gladstone Investment Corporation - Business Develo to trade 0.58% lower — all else being equal — when GAIN shares open for trading on 3/19/19. Looking at the universe of stocks we cover at Dividend Channel, on 2/19/19, Gladstone Investment Corporation - Business Develo will trade ex-dividend, for its monthly dividend of $0.068, payable on 2/28/19. As a percentage of GAIN's recent stock price of $11.97, this dividend works out to approximately 0.57%, so look for shares of Gladstone Investment Corporation - Business Develo to trade 0.57% lower — all else being equal — when GAIN shares open for trading on 2/19/19. In recent trading, shares of Gladstone Investment Corp have crossed above the average analyst 12-month target price of $11.75, changing hands for $12.01/share. When a stock reaches the target an analyst has set, the analyst logically has two ways to react: downgrade on valuation, or, re-adjust their target price to a higher level. Looking at the universe of stocks we cover at Dividend Channel, on 1/17/19, Gladstone Investment Corporation - Business Develo will trade ex-dividend, for its monthly dividend of $0.068, payable on 1/31/19. As a percentage of GAIN's recent stock price of $10.54, this dividend works out to approximately 0.65%, so look for shares of Gladstone Investment Corporation - Business Develo to trade 0.65% lower — all else being equal — when GAIN shares open for trading on 1/17/19. In trading on Thursday, shares of Gladstone Investment Corporation - Business Develo touched a new 52-week low of $8.70/share. That's a $3.56 share price drop, or -29.04% decline from the 52-week high of $12.26 set back on 06/18/2018. Looking at the universe of stocks we cover at Dividend Channel, on 12/19/18, Gladstone Investment Corporation - Business Develo will trade ex-dividend, for its monthly dividend of $0.068, payable on 12/31/18. As a percentage of GAIN's recent stock price of $9.98, this dividend works out to approximately 0.68%, so look for shares of Gladstone Investment Corporation - Business Develo to trade 0.68% lower — all else being equal — when GAIN shares open for trading on 12/19/18. Looking at the universe of stocks we cover at Dividend Channel, on 11/19/18, Gladstone Investment Corporation - Business Develo will trade ex-dividend, for its monthly dividend of $0.068, payable on 11/30/18. As a percentage of GAIN's recent stock price of $9.79, this dividend works out to approximately 0.69%, so look for shares of Gladstone Investment Corporation - Business Develo to trade 0.69% lower — all else being equal — when GAIN shares open for trading on 11/19/18. Looking at the universe of stocks we cover at Dividend Channel, on 10/18/18, Gladstone Investment Corporation - Business Develo will trade ex-dividend, for its monthly dividend of $0.068, payable on 10/31/18. As a percentage of GAIN's recent stock price of $10.69, this dividend works out to approximately 0.64%, so look for shares of Gladstone Investment Corporation - Business Develo to trade 0.64% lower — all else being equal — when GAIN shares open for trading on 10/18/18. Looking at the universe of stocks we cover at Dividend Channel, on 9/18/18, Gladstone Investment Corporation - Business Develo will trade ex-dividend, for its monthly dividend of $0.067, payable on 9/28/18. As a percentage of GAIN's recent stock price of $11.78, this dividend works out to approximately 0.57%, so look for shares of Gladstone Investment Corporation - Business Develo to trade 0.57% lower — all else being equal — when GAIN shares open for trading on 9/18/18. In recent trading, shares of Gladstone Investment Corp have crossed above the average analyst 12-month target price of $11.88, changing hands for $11.92/share. When a stock reaches the target an analyst has set, the analyst logically has two ways to react: downgrade on valuation, or, re-adjust their target price to a higher level. Looking at the universe of stocks we cover at Dividend Channel, on 8/20/18, Gladstone Investment Corporation - Business Develo will trade ex-dividend, for its monthly dividend of $0.067, payable on 8/31/18. As a percentage of GAIN's recent stock price of $11.99, this dividend works out to approximately 0.56%, so look for shares of Gladstone Investment Corporation - Business Develo to trade 0.56% lower — all else being equal — when GAIN shares open for trading on 8/20/18. In recent trading, shares of Gladstone Investment Corp have crossed above the average analyst 12-month target price of $11.62, changing hands for $11.73/share. When a stock reaches the target an analyst has set, the analyst logically has two ways to react: downgrade on valuation, or, re-adjust their target price to a higher level. Looking at the universe of stocks we cover at Dividend Channel, on 6/19/18, Gladstone Investment Corporation - Business Develo will trade ex-dividend, for its monthly dividend of $0.067, payable on 6/29/18. As a percentage of GAIN's recent stock price of $11.97, this dividend works out to approximately 0.56%, so look for shares of Gladstone Investment Corporation - Business Develo to trade 0.56% lower — all else being equal — when GAIN shares open for trading on 6/19/18. 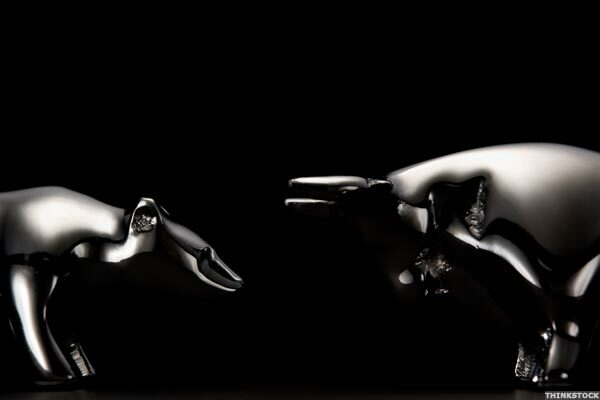 In recent trading, shares of Gladstone Investment Corp have crossed above the average analyst 12-month target price of $11.62, changing hands for $11.66/share. When a stock reaches the target an analyst has set, the analyst logically has two ways to react: downgrade on valuation, or, re-adjust their target price to a higher level. Looking at the universe of stocks we cover at Dividend Channel, on 5/21/18, Gladstone Investment Corporation - Business Develo will trade ex-dividend, for its monthly dividend of $0.067, payable on 5/31/18. As a percentage of GAIN's recent stock price of $11.08, this dividend works out to approximately 0.60%, so look for shares of Gladstone Investment to trade 0.60% lower — all else being equal — when GAIN shares open for trading on 5/21/18. In trading on Wednesday, shares of Gladstone Investment Corporation - Business Develo crossed below their 200 day moving average of $9.98, changing hands as low as $9.95 per share. Gladstone Investment Corporation - Business Develo shares are currently trading down about 0.9% on the day. In trading on Wednesday, shares of Gladstone Investment Corporation - Business Develo crossed below their 200 day moving average of $9.93, changing hands as low as $9.85 per share. Gladstone Investment Corporation - Business Develo shares are currently trading down about 2.4% on the day. 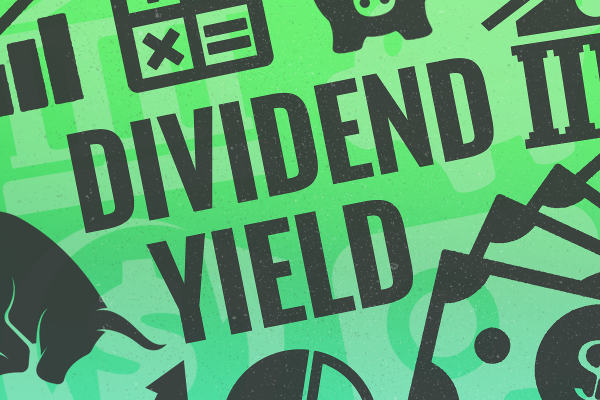 The DividendRank formula at Dividend Channel ranks a coverage universe of thousands of dividend stocks, according to a proprietary formula designed to identify those stocks that combine two important characteristics — strong fundamentals and a valuation that looks inexpensive. Gladstone Investment Corporation - Business Develo presently has a stellar rank, in the top 10% of the coverage universe, which suggests it is among the top most "interesting" ideas that merit further research by investors. Gladstone Investment Corporation - Business Develo has been named as a Top 10 dividend-paying financial stock, according to Dividend Channel, which published its most recent ''DividendRank'' report. The report noted that among shares of financial companies, GAIN displayed both attractive valuation metrics and strong profitability metrics. Looking at the universe of stocks we cover at Dividend Channel, on 1/19/18, Gladstone Investment Corporation - Business Develo will trade ex-dividend, for its monthly dividend of $0.065, payable on 1/31/18. As a percentage of GAIN's recent stock price of $11.32, this dividend works out to approximately 0.57%, so look for shares of Gladstone Investment Corporation - Business Develo to trade 0.57% lower — all else being equal — when GAIN shares open for trading on 1/19/18. Looking at the universe of stocks we cover at Dividend Channel, on 12/18/17, Gladstone Investment Corporation will trade ex-dividend, for its monthly dividend of $0.065, payable on 12/29/17. As a percentage of GAIN's recent stock price of $11.12, this dividend works out to approximately 0.58%, so look for shares of Gladstone Investment Corporation to trade 0.58% lower — all else being equal — when GAIN shares open for trading on 12/18/17.